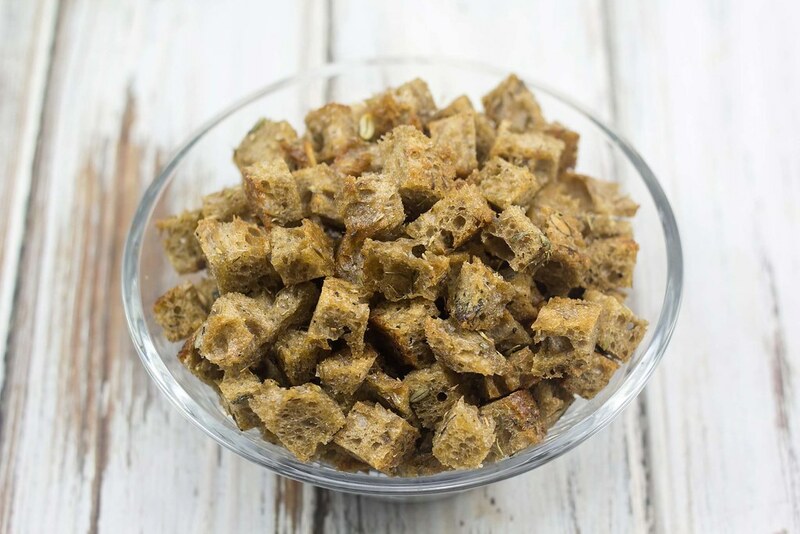 Homemade Bread Croutons | Easy recipe! 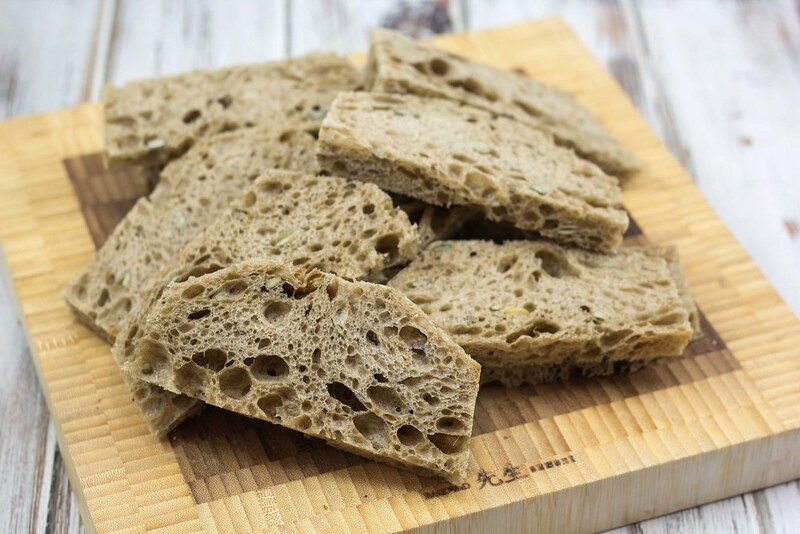 It is actually really easy to make some homemade bread croutons which are great as a crisp element in a nice salad or a soup. In this recipe you only need 4-5 different ingredients; some bread, olive oil, thyme, salt and pepper. Instead of using fresh bread you can with advantage use some stale bread which has become hard and boring. 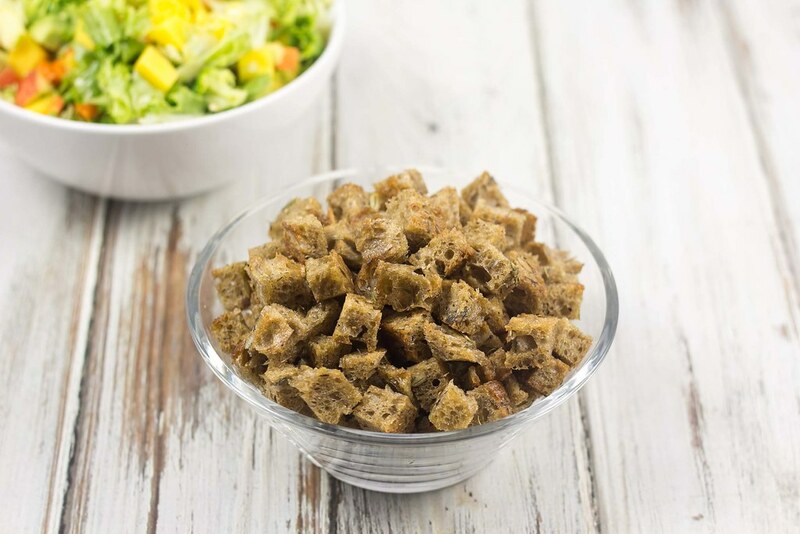 We normally use dark bread with some nuts, this gives an extra delicious taste to the croutons. 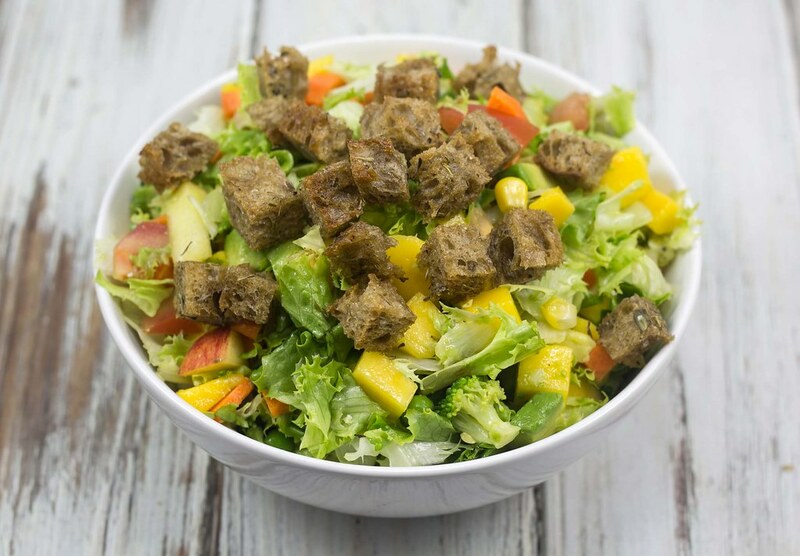 Homemade croutons really give a salad an extra delicious touch. In this recipe we used thyme. However, you can try using different types of spices. 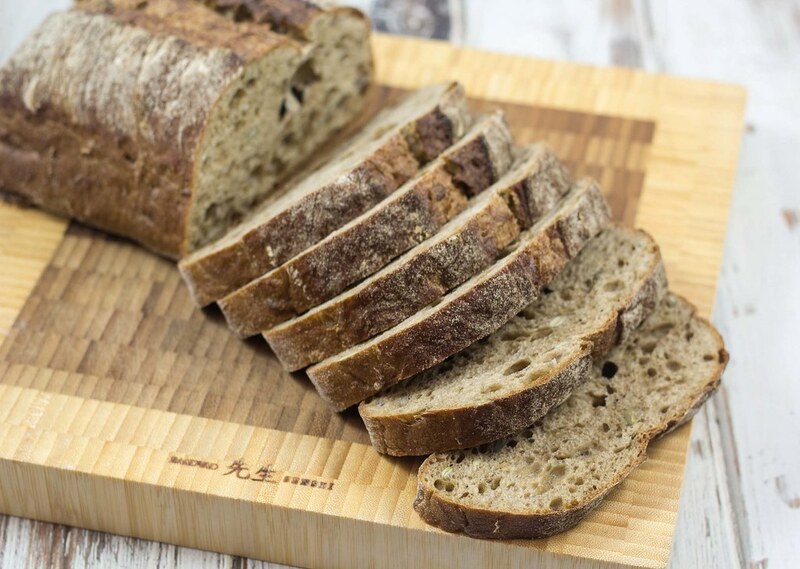 You can also try using different types of bread like normal white bread or some darker with whole grains. 1. Remove the crust from the bread and cut it all in into cubes. 2. Pour all the bread cubes into a large bowl. 3. Add olive oil, thyme, salt and pepper to the bowl; mix it all well. If there are still some bread cubes without oil; add some extra oil and mix again. 4. Pour the bread cubes onto a baking tray lined with parchment paper. 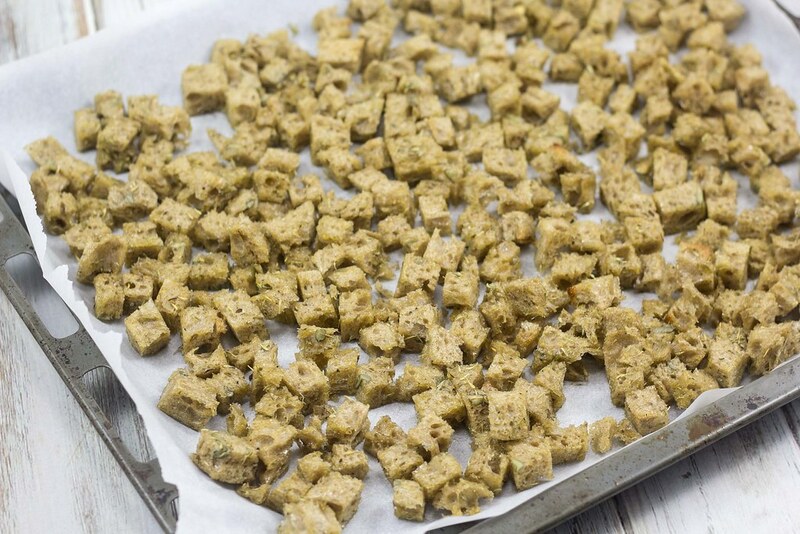 Bake the croutons at 200 C (400 F) for about 8-10 minutes or until they are nice and crisp. 5. 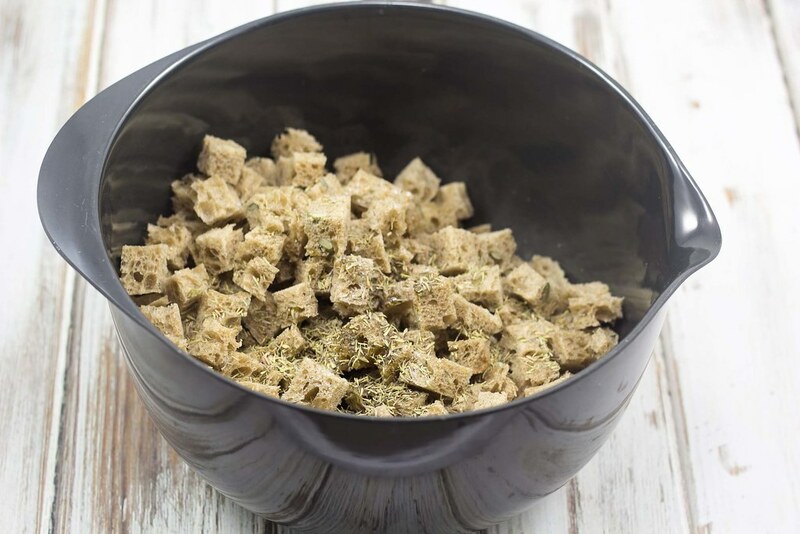 Let the croutons cool off before you mix them with a salad or in a soup. The ones you don’t use right away; store them in an airtight container. They should last for about 14 days.